The new Face(Time) of telemedicine and telehealth? As someone interested in innovation in health care, I’m very much excited about Apple Inc‘s FaceTime feature announced earlier this year with iPhone 4. 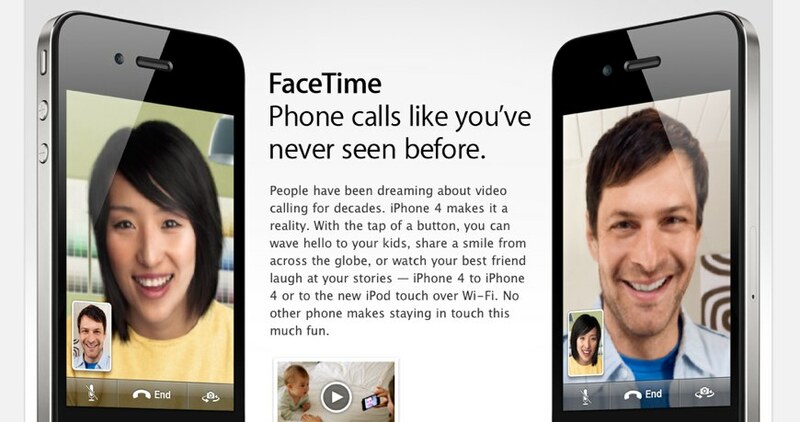 FaceTime is a video calling protocol that can be used by iPhone 4 users. Apple has indicated that they will be releasing the FaceTime protocol as an open standard. The iPad will get this feature during its next software update and I assume that Apple’s other computer products will also get this capability too. As such, we can expect millions of devices to have FaceTime capability within the next year – more if other companies decide to adopt this protocol. Why so excited? I see FaceTime as a catalyst for renewed interest in telehealth and telemedicine. The reason is that regular people will slowly get used to video-calls using their mobile devices becoming a much more pervasive option. Health care professionals will also become accustomed to these types of features as there are more and more reports of medical schools providing mobile devices to trainees, Here’s a recent article about a UK medical school providing its 4th year students with iPhones while Stanford Medical School is providing iPads to its coming students. Is it only a matter of time before medical schools have a video-conferencing/telemedicine course in the curriculum? What makes FaceTime different from existing telemedicine applications? The first thing is that it is simple to use. All you need is a phone number/email address and an Internet connection. After that, all you need to do is push a button. No need to for dedicated hardware or need to go to a specialized room. Patients and health professionals can connect from wherever they are. Sure, the participants still need to be sensitive to privacy issues but Apple’s FaceTime might help telemedicine/telehealth go mainstream. Previous post: Poll: Will Regional Extension Centres (RECs) deliver on their mission?